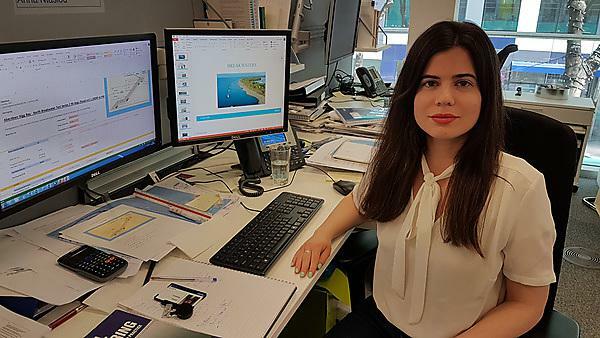 Since completing my studies at the University of Plymouth, I have been working as a maritime engineer in Arup. At Arup, I have been involved in many interesting projects such as the Aberdeen Nigg Bay development and the Swansea Tidal Bay Lagoon. I have been working side by side and learning from the best maritime engineer professionals in the business. I would have sought career advice from the University’s career services, instead of searching on my own to find jobs online. There’s also a handy on-campus graduate recruitment and internship service now called JobShop. It would have made the job seeking process smoother and less stressful for me. If I had the knowledge of how UK universities and particularly the University of Plymouth operated, I would have done my civil engineering course at the University of Plymouth as well, instead of doing it in Greece. The key reason I chose to study MSc Coastal Engineering at Plymouth was because it’s the best university in the UK in terms of coastal and maritime engineering studies. It was also suggested to me by my university professor. Compared to other similar courses, it offered a broad range of modules such as coastal engineering but also environmental and project management modules, which are very important in an engineer’s professional career. The professors on my course were very kind and dedicated and always ready to answer queries. The University library had all the studying material and resources we needed for our projects, and the fact that I used the coastal laboratory for my dissertation projects was of the utmost importance to my development. Before studying at Plymouth, I was not sure whether I would stay in the UK for a career. Studying at the University of Plymouth broadened my mental horizons, gave me significant educational and technical knowledge, and provided me with the opportunity to enter the UK’s professional engineering world. My favourite memory has to be working at the coastal laboratory as part of my dissertation, entitled ‘study of the shoreline response of submerged breakwaters,’ because it was an exciting experience and a fantastic opportunity to see how theory is put into practice in the real world. The University of Plymouth gave me all the tools to face the challenges in my future career; it gave me a high-level technical knowledge, helped me with multitasking, prioritising, working in teams, and also boosted my organisational and presentation skills. Studying at the University of Plymouth also helped me to cope with pressure and stress, such as getting accustomed to working as part of demanding projects. All in all, I think the whole course was structured in an order which prepared us for the UK engineering industry and professional environment. I would and I have already recommended the University of Plymouth to people because I know that it will give them – like it did for me – the proper knowledge and qualifications to pursue a career as an engineer in the UK industry.